Creatives, despair! With just six weeks left in 2015, the most shared ad of the year contains nothing but found footage, according to new data from Unruly—hilarious and adorable found footage, but found footage nonetheless. But maybe that's OK. 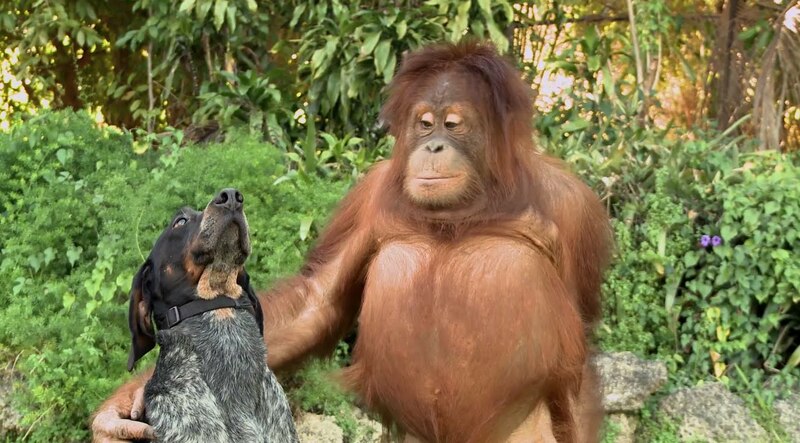 The spot, "Friends Furever" for Google's Android, caused a bit of consternation at first over at Droga5—the agency that created it, and which is known for creating some of the industry's most original advertising, not just slapping together funny clips it finds on the Internet. But as David Droga said during an Advertising Week panel in September, you can't be too proud when it comes to creating something compellingly shareable. "Your natural desire is to create something from scratch," he said. "But this spot probably created more love in my household than anything I've ever created. It was a challenge to the way we create things. It was found footage that we put the strategy around. And I was always the one standing up and rallying against UGC, to be honest." You can't argue with the results: "Friends Furever" has been shared more than 6.4 million times across Facebook, Twitter and the blogosphere since its launch in February. That makes it the most shared ad of all time, eclipsing Activia's 2014 World Cup ad "La, La, La," which has about 6.1 million shares. Animals, of course, are social media gold. In addition to "Friends Furever," three other animal spots—all of them starring dogs—make the top 10 here: a BuzzFeed video for Purina at No. 3; Budweiser's "Lost Dog" Super Bowl spot at No. 5; and Kleenex's "Unlikely Best Friends" at No. 10. "Data analysis of 1,300 ads proves that 2015 was a highly emotional year for video ads," says Unruly co-CEO and co-founder Sarah Wood. "On the one hand, warmth and happiness shone through, with brands using fluffy pets and simple storylines to melt our hearts and amplify sharing. At the same time, other advertisers aligned themselves with social causes, evoking strong feelings of sadness and inspiration. It's not that adland has lost its sense of humor this year; it's just that it's found a sense of higher purpose." Total sharing of the top 20 ads is up almost 40 percent compared to 2014, with 40.2 million shares compared to 29 million last year. Check out all 20 spots below.